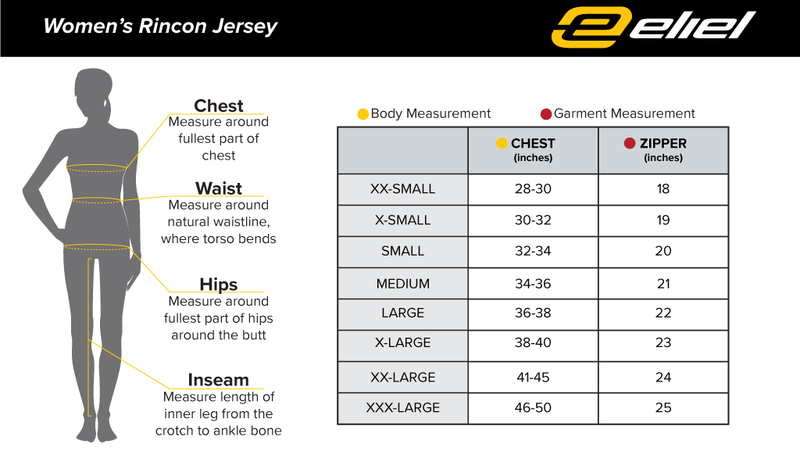 This item is back-ordered! 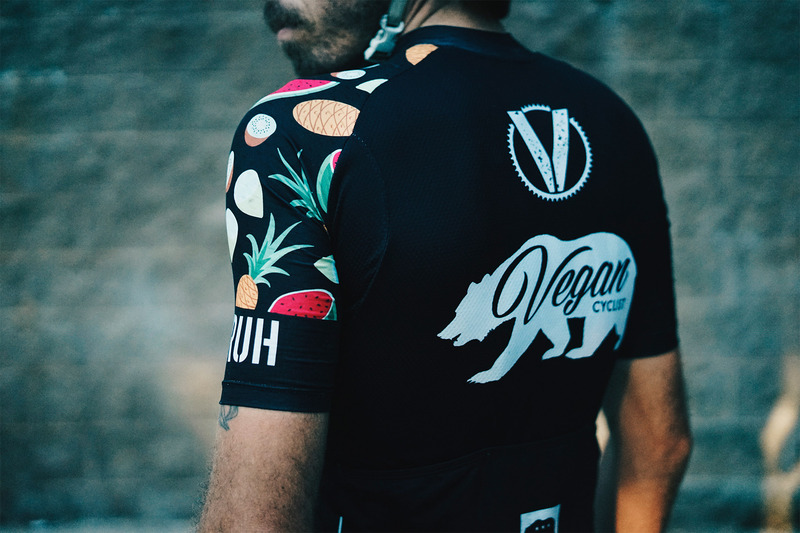 Estimated shipping is 4-6 weeks! 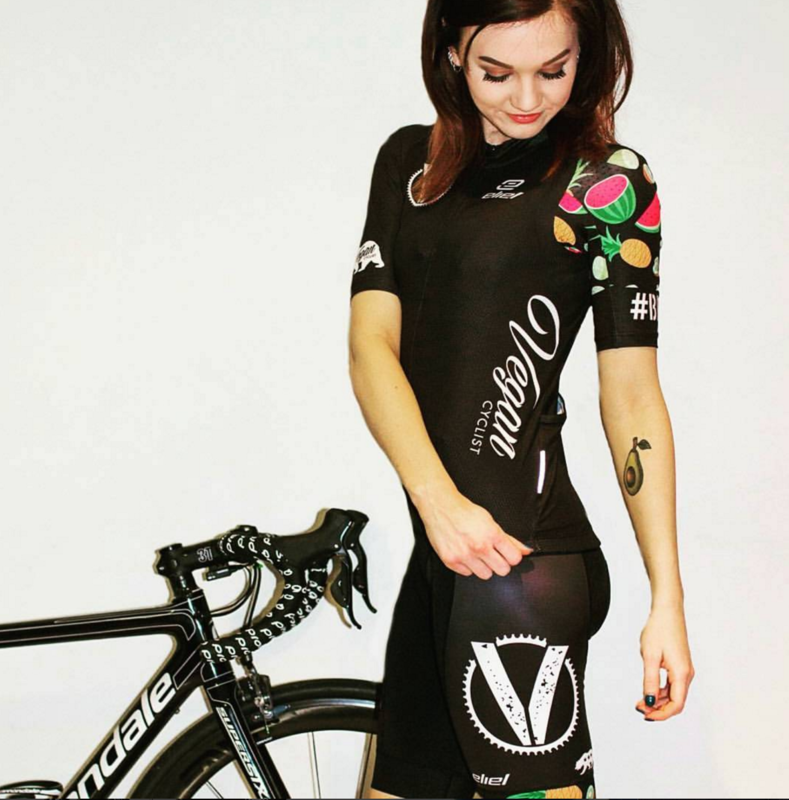 The Womens Vegan Cyclist Kit is a form fitting training and race jersey that feels luxurious and is designed and fitted just for women. 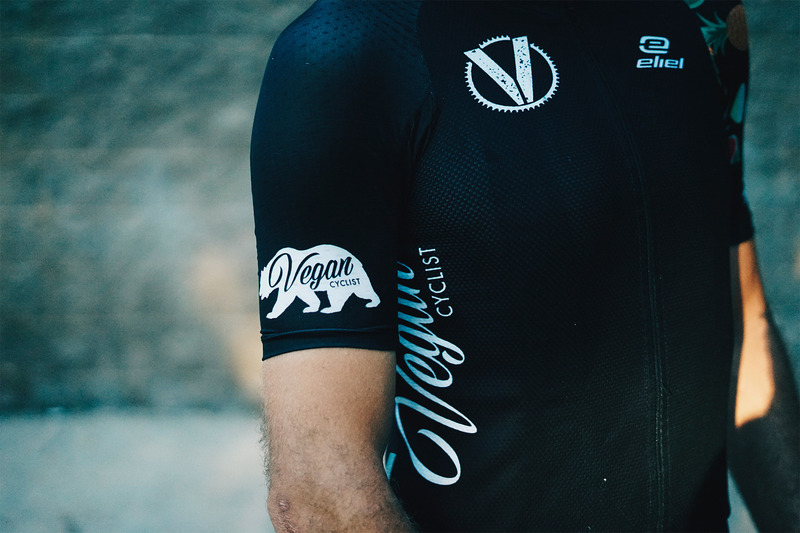 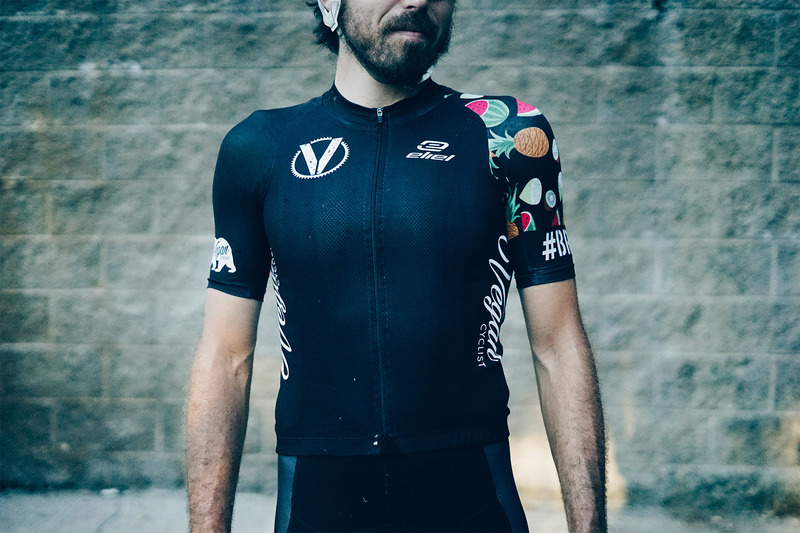 We paired a very breathable Italian fabric on the body with our Eliel Signature Sleeves so that the jersey continues to offer total comfort even when we push hard on hot summer afternoons. 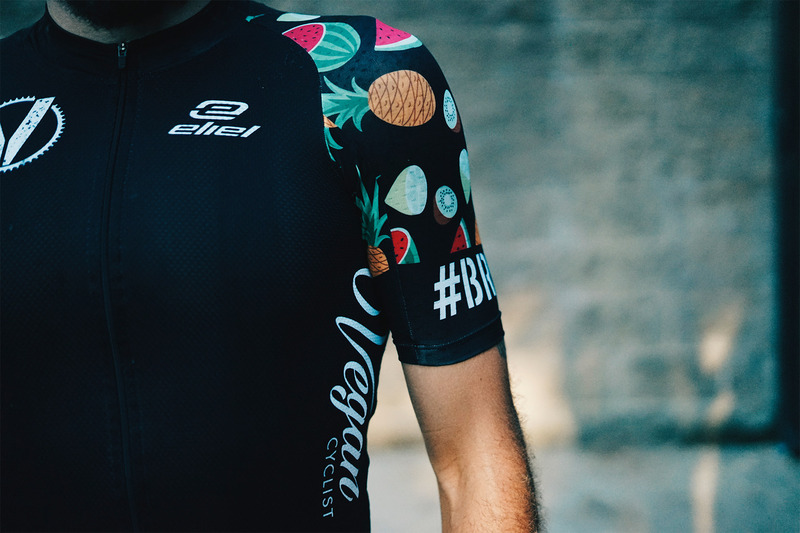 With a black background and a bold, colorful fruit pattern this jersey is sure to stand out. 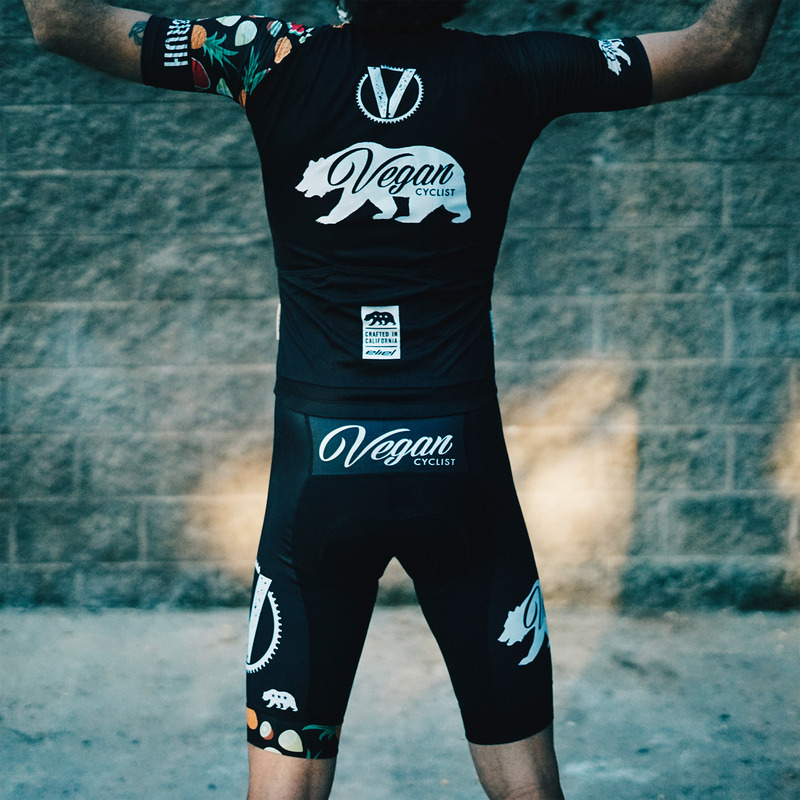 It has the California State bear on the back as well as Vegan Cyclist in cursive on the back and sides so everyone will know your stance without talking to you.